The Incline Village snow play area is located on Fairway Blvd next to the Chateau Clubhouse on the golf course driving range. Bring your own snow equipment for this gentle hill. 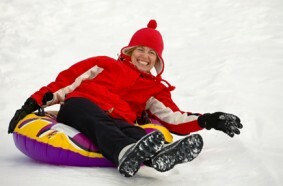 It is perfect for young kids looking for sledding adventure and easy access for the whole family to sled. Your right in the heart of Incline Village, Nevada.